Imagine John Facenda, the iconic voice of NFL Films, telling a story about a man who is complex, evil, loving, tenacious, brilliant, a mass of contradiction who heroically saves the union by in part protecting its greatest failure and sin, and you will have an understanding of American Lion: Andrew Jackson in the White House by Jon Meacham.As with any family, it’s OK if criticism comes from inside the family, but woe to those outside its circle who dare utter a word against a member. A native of Chattanooga, Mr. Meacham is certainly a member of the Volunteer State family, and his portrayal of Tennessee’s favorite and most famous son is brilliant, fair and captivating.Andrew Jackson, the first self-made man to become President, is a difficult man to figure out. Jackson, just a boy of 13, fought for his infant country’s freedom in the Revolutionary War. Standing up to a British officer earned him a scar from the sword of the man whose boots Jackson refused to shine. 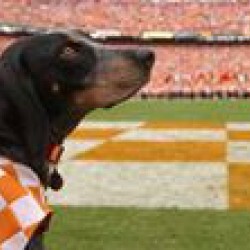 The legend of “Old Hickory” begins here, and grows out of Jackson’s success as a soldier, and leader of men. As President Jackson consolidates the power of the office, and defines it as being a direct representative of the people. This and so many other concepts about the job and its role in our government that we now accept and take for granted where given to us by our seventh President. Jackson remains the last President to leave office with the United States being completely debt free. He stood up to the “nullifiers” of the south who felt that states should be able to nullify laws they did not agree with, and by reaching a compromise delayed the Civil War already brewing, especially in the slave states. This also made visible aspects of Jackson’s character that are frightening and troubling to those of us who admire him.Jackson was an unashamed slave owner, and his treatment of his slaves is no less barbaric than any other master of his day. Likewise, Jackson’s willingness to flat out lie to Native Americans, violate every treaty past and present, and ultimately create the genocide that was the “trail of tears” places him among history’s most brutal and callus leaders. Here is my one criticism of Mr. Meacham’s work. While he certainly did not look away from these dark, dark moments of Jackson’s life, I think Mr. Meacham could have allowed a more honest and stark view of Jackson’s crimes. Committing the folly of judging historical figures not by the mores of their day, but rather today’s accepted attitudes is something I usually find to be unfair. However, the raw, naked lack of compassion Jackson had for slaves and Native Americans demands a strong condemnation, even nearly 200 years later. 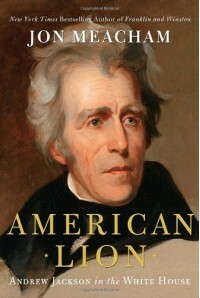 History is written by its winners, and if the United States is to continue the painfully slow process of healing from slavery and the treatment of Indians, we must unflinchingly embrace our responsibility for those horrors.American Lion is now one of my favorite Presidential biographies. Meacham is able to capture President Jackson’s force of personality and determination, while at the same time letting us see his frailty and shortcomings. It is this combination that makes the book so powerful, and allows appreciation of our seventh President.